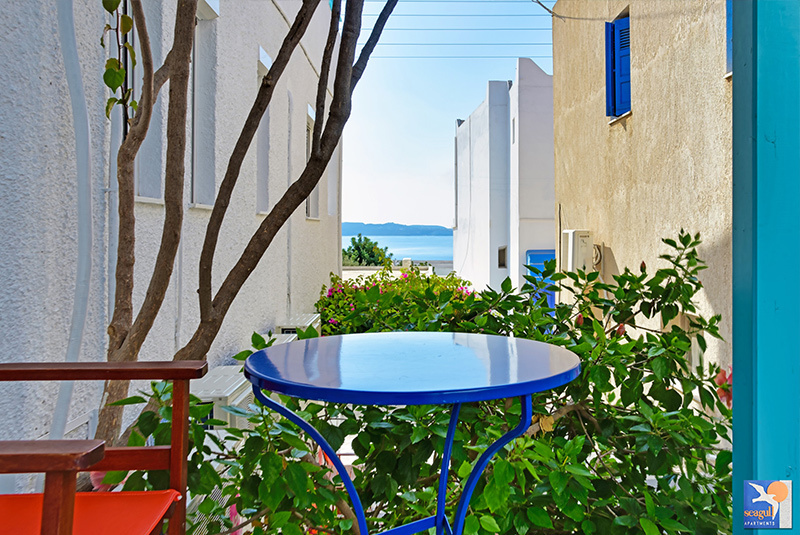 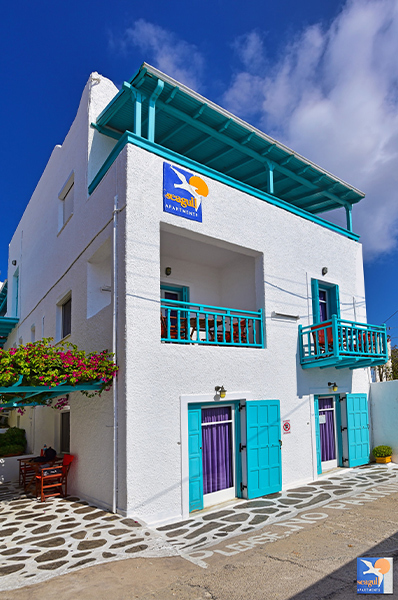 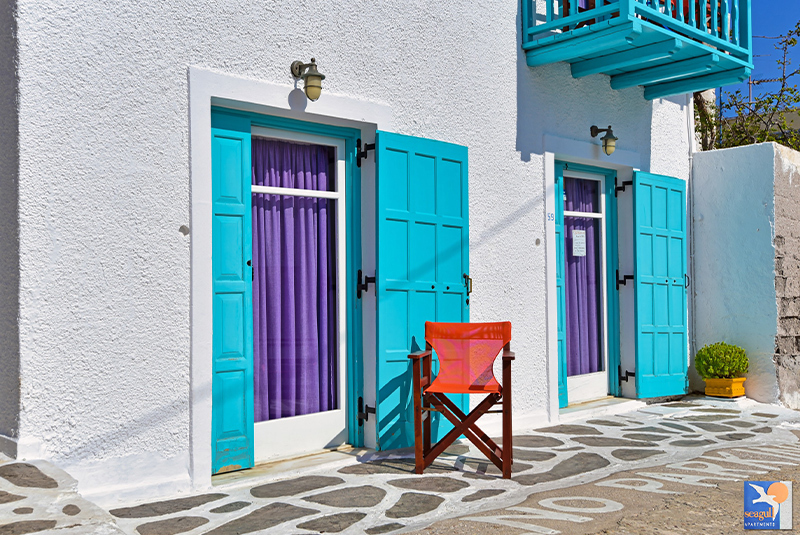 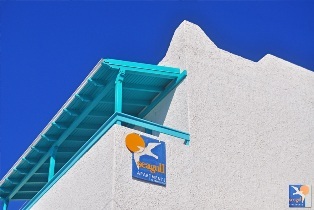 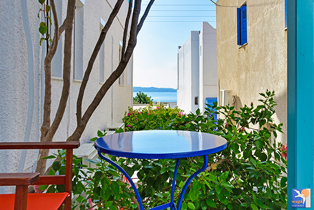 Seagull Apartments are in Adamas, the central village of Milos, with its port, shops, restaurants, night life and from where boats depart to tour the island. 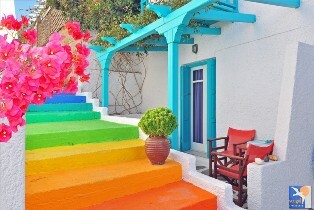 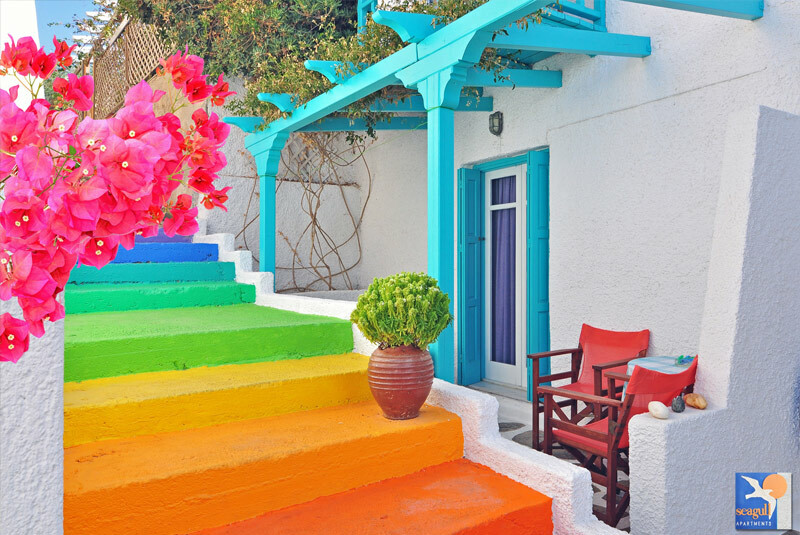 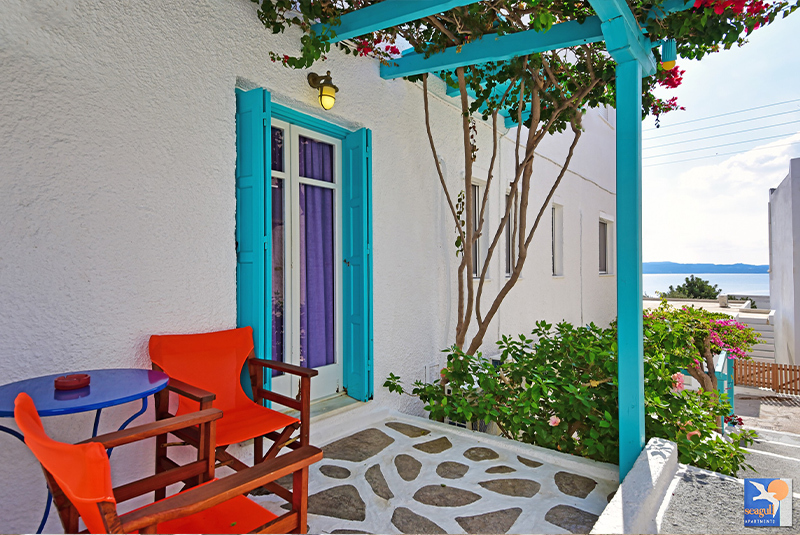 It is located uphill, 300 mt on foot from the center, in a quiet area overlooking the village and the ample gulf of Milos. The structure is family-run, with hospitality and professionalism, since years. We have rooms for two and three pax, and two apartments of which one with two bathrooms to host up to 5 persons. 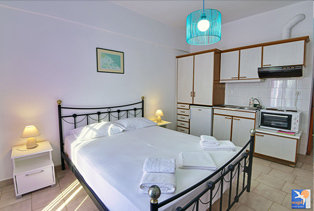 Each room/apartment has its own bath and some enjoy a balcony with sea view. 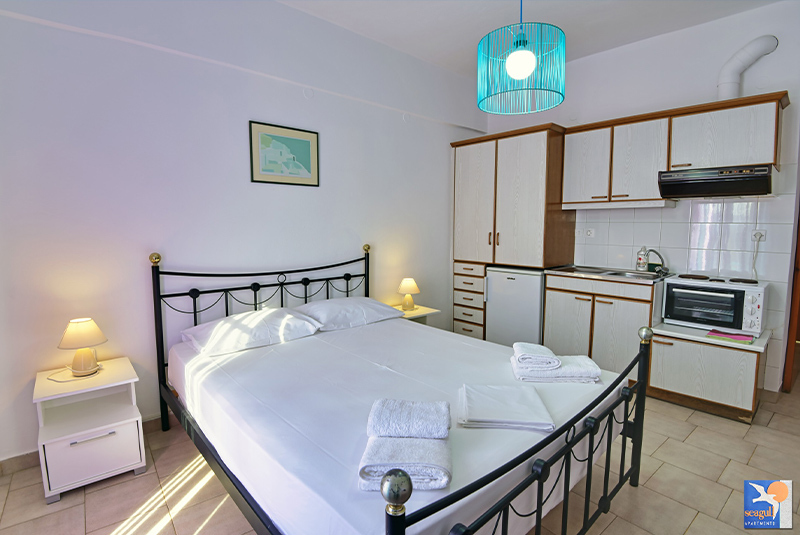 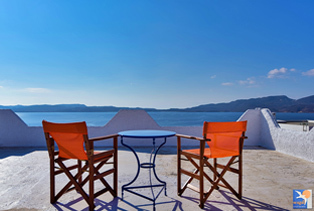 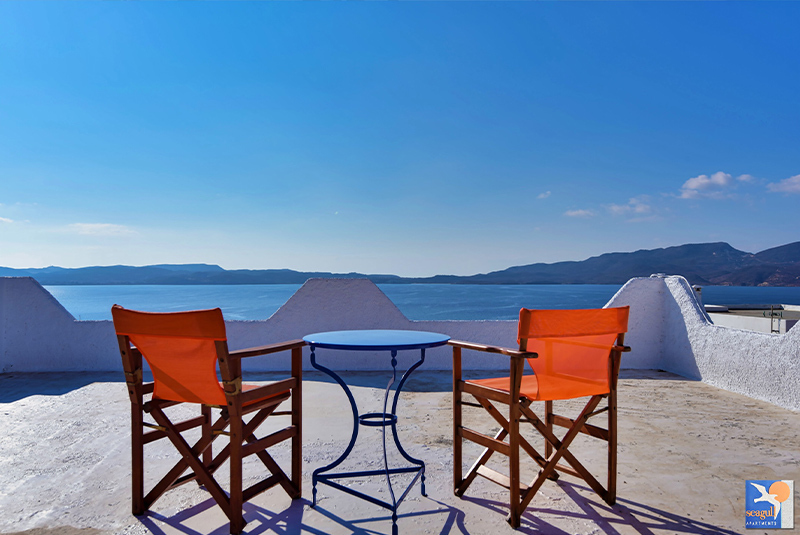 Daily cleaning, English spoken and free transportation to/from port or airport.Comfort, reasonable prices and assistance for auto renting complete our offer for a pleasant stay in Milos.